Closely related to Siberie, De Republiek, Loft and Espresso in Mijdrecht. sNc from Wales. Sent 19 Jan 2017. Well worth a visit, great quality and price (much cheaper than the centre shops) very simple modern relaxed feel with the decor, the staff were very friendly too. 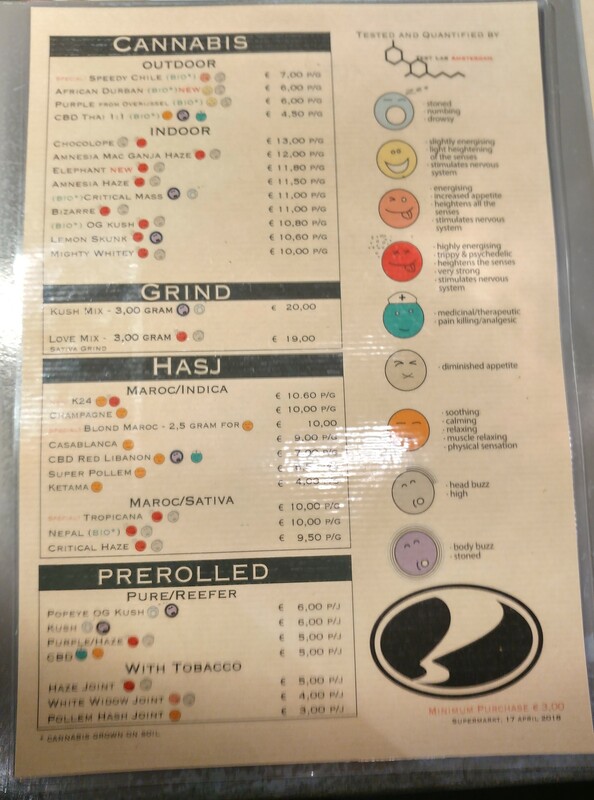 Very popular coffeeshop, solid selection of Indica's for 8-9 euro/gr and Sativa's for 10+. Wide selection of hash as well (including ice-o-lator). Lots of room to sit and read, rotating art expositions on the walls, good espresso. A meeting place for a lot of locals. Open until 23:00. Big shop. They got a smoking area, nice menu also nice smokes. They sell also less then a gram. They sell nice weed for 7 euros and above. Paul from USA. Sent 7 Jan 2008. This place is large, bright, and airy. It would be a great place for a first timer, or for small groups of people. They have good mixed joints for 2.5 Euro. Bod & Bong from England. Sent 4 Dec 2006. Stumbled across this shop after getting lost and following the lights. Walked in and was impressed with the fresh layout and décor. No bar or toasties but good selection of weed which was on display next to the price. Clientele was local, mature, quite mellow and the ambiance was pleasant. Also a toilet (needed after getting lost!) and computer for internet access. Really liked this place, rate it highly.